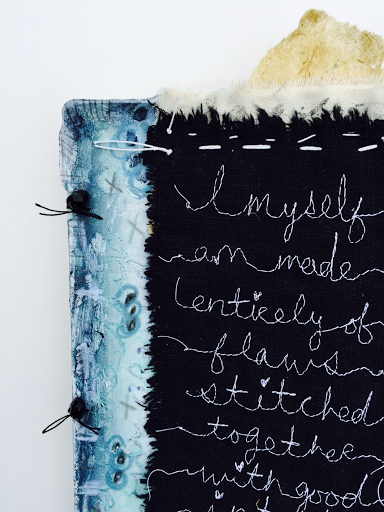 let the beauty we love be what we do: Stitched journal page. 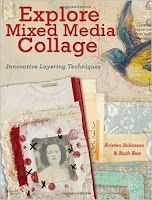 stiched mixed media journal page from ruth rae on Vimeo. 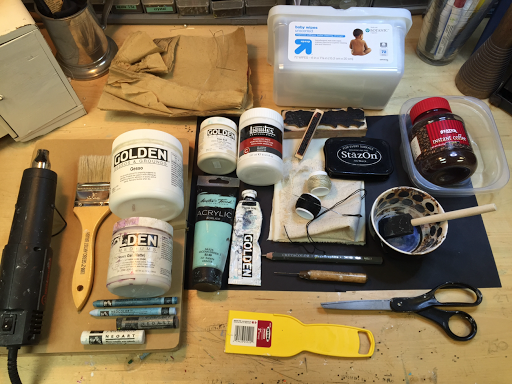 Supplies you will need: fabric, sewing machine, doll makers needle, Pearl cotton, Caran d'Ache: NeoArt Water-Soluble Wax Pastel and neocolor II, Acrylic paint: paynes gray, light blue, Golden Regular Gel Matte, Golden Light Molding Paste, awl. Instant coffee, muslin (I prefer Nature's Way by Roc-lon), black fabric, black copy paper (this is for the molding paste technique), joss paper, and your art journal. Life is all about the layers that come together to weave our days. of mediums transforms average items into amazing treasures. 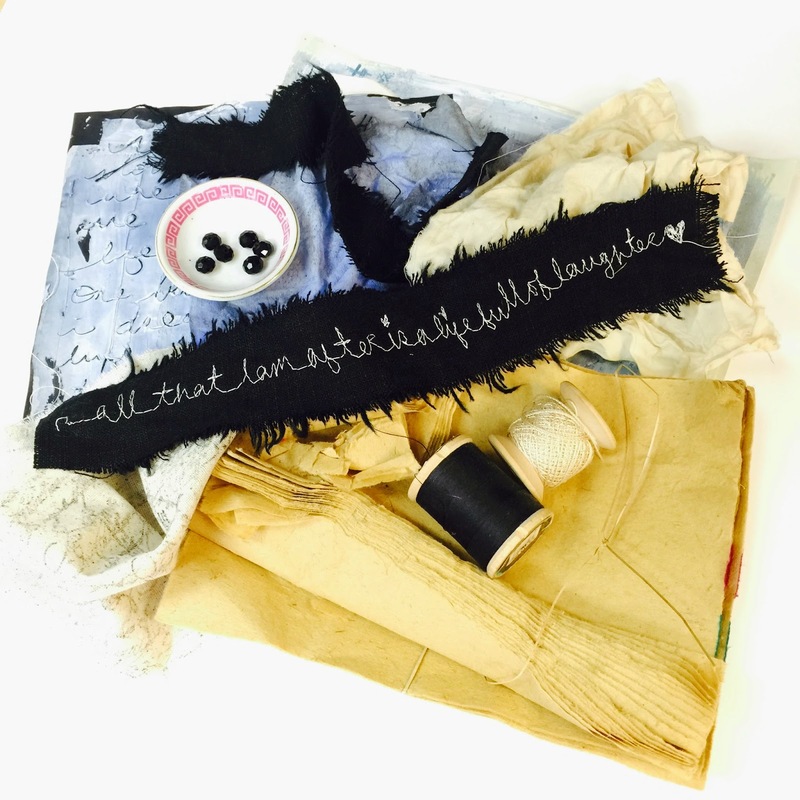 utilizing needle and thread as well as the sewing machine. My layerers for this project were: altered papers and fabrics all interconnect with a needle and thread. 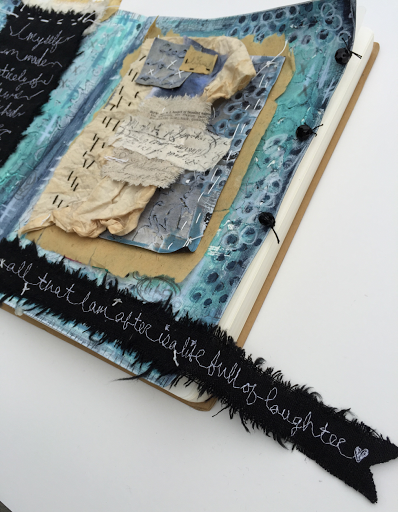 I like the juxtaposition of the painted page combined with the papers and fabrics and the hand stitches combine with the free motion sewing. After my sewing machine I must say that a doll makers needle is my top used tool in my studio its long and sharp and goes threw multiple layers with ease. If unable to locate a doll makers needle or perhaps you have a favorite needle a flat nose pair of pliers is handy to have on hand as this will enable you to pull the needle and thread through any difficult or thick layers. To complete the page I attached coordinating beads along the sides using Pearl Cotton floss and a needle.Because I am naturally drawn to creating layers, I layered fabric and joss paper together. 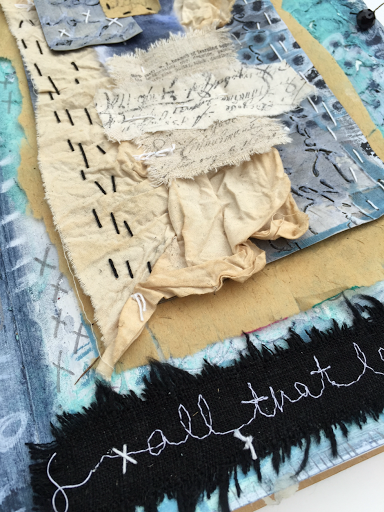 I then added an array of hand stitched between the journal layers and the free motion stitched fabric for even more texture. 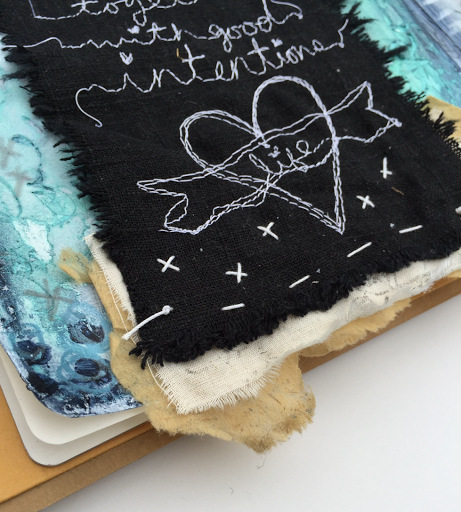 of Mixed Media Techniques, Free Motion Stitching and more. This is just amazing Ruth! I am in love with the fabric as well and adding it to the page this week was over the top. Thank you for joining us as a Featured artist this week. I love everything you do and your video sure did make me want to play in your studio with you! Have a wonderful week! 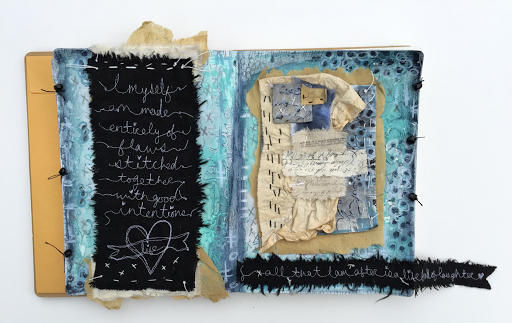 I love your journal pages and using hand stitching and fabric is something that makes me very happy too. You do it so beautifully. Also the music to your video was great! 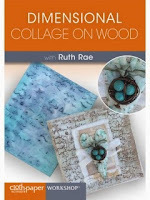 Ruth, What a joy to watch your process, wow! Seeing your various techniques and how you brought all the elements together was riveting and incredibly inspiring. Beautiful work! Wow, the stitching is out of this world! Gorgeous layers! What a beautiful work. C'est magnifique. Congratulations. Félicitations. That was the most awesome thing I have ever seen. First, thank you so much for being a Featured Artist with us today! Now, to this heavenly page. I loved watching the video. Seriously in awe of your free motion skills! I want to be able to do that and need to practice because I so love the look of it. Then when you glued the pages together a lightbulb went off for me - what a great solution to the stitching issue! 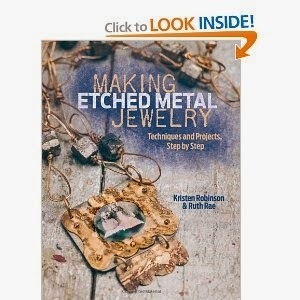 And the icing on the cake of beading the edges! So inspirational! 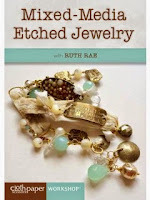 Thank you, Ruth!! Love!! Thank you for the video! 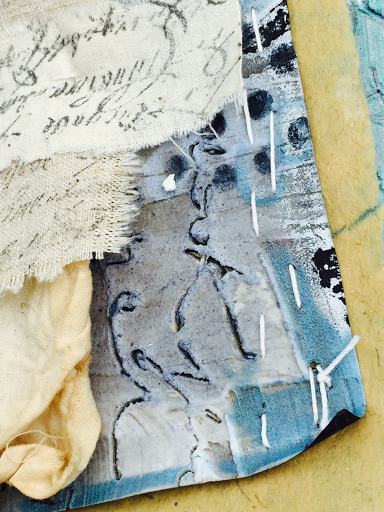 Layers and layers of yummy - ideas and ideas of inspiration - so much eye candy. GREAT page and I want to do it, too, so thanks for all the information. I used to love watching Beryl Taylor and her use of layers and you have added the printing and magic of scrapbooking to a wonderful new level. Thanks for sharing this amazing new path to follow! What fun. wow, that was intense and so interesting to watch. Something like that would take me weeks to do, you made it look easy. Excellent work! Thanks for the great lesson Ruth! Wow,....wow....WOW! Your art is totally stunning! While I don't have the talent to come close to making a page like this, I sure did enjoy seeing you create it! 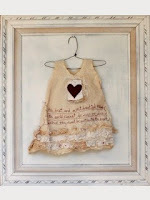 Amazing layering, paint, stitching....a true work of art! HO.LY.COW!!! I watched your video three times and am still saying...she wrote words with a sewing machine!!! What an amazing feat and the outcome is totally fabulous. Thank you for sharing your talent and so many techniques. My favorite...molding paste, awl, color wash...brilliant. so much creativity and inspiration! You are just amazing! What an imagination you have! Loved watching your time lapse video of this page. Thank you for sharing it! Your time lapsed video was wonderful - I saw techniques I want to try. But of course, I'll watch your video a few more times before I try them. Thanks. Awesome mixed media goodness!!! Thanks for sharing!